I recently took a course at Mendenhall School of Auctioneering to become an Auctioneer. I’ve spent the last 6 years working with auctioneers across the U.S. and I have always had great respect for them; after spending 9 days in this class, my respect has quadrupled. Like many other nonprofit volunteers – when I work with an auctioneer, I typically think of the time they spend on stage selling items. Some auctioneers also consult with you prior to your event to make sure you are getting good items, setting the auction packages up in the right order, bundling items to bring a higher dollar value and more. There are those auctioneers that also work with you on your special appeal or paddle raise strategy. They help you with crafting the message, as well as setting the levels and timing. Research their credentials, licensing, education and any certifications and professional memberships such as the Association of Fundraising Professionals or the National Auctioneers Association. Bottom line – the Bid Calling is just the icing on the cake. Much like your Gala – no one sees all the work that goes on before-hand to make it happen. 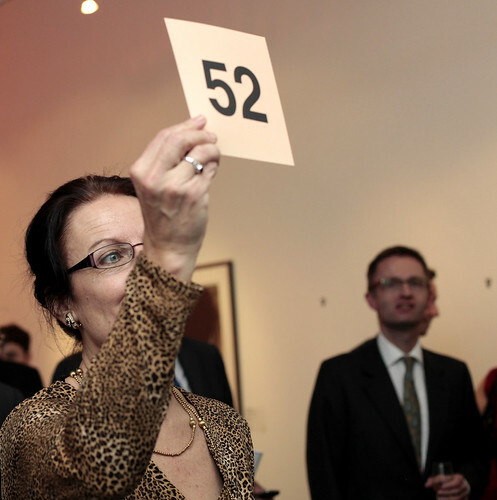 Also see, Auctioneer Kathy Kingston’s Make Money Out of Thin Air – Ultimate Fundraising Auction Items. Join Greater Giving before your next event.